Advances in medical devices utilizing exoskeleton technology. My colleagues and I are excited by the current value and future potential of exoskeletons in healthcare. Applications of particular interest are the accommodation and treatment of partial paralysis and other types of musculoskeletal impairments, some of which are caused by a stroke. Presently, we lead research efforts with multiple companies developing exoskeletons, which have significant adjacencies to our work on medical robots. The human factors challenges are many. 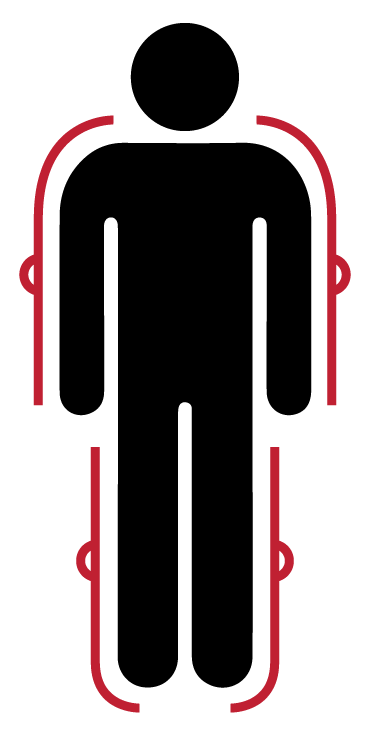 An exoskeleton needs to fit a wide range of male and female body types. It needs to be safe and comfortable to wear, sometimes for extended periods of time. It needs to be relatively easy to program to properly mimic natural human movement. Ease of cleaning is also a factor. I recall the first time I donned an exoskeleton – a preamble to performing a human factors review of its design. It wrapped around my lower torso and then motor-driven leg pieces got strapped to my upper legs. After I activated the device, it seemed to have a limited effect on my movement as I strode down a hall. Frankly, I was a bit disappointed because I thought it was going to make me feel more powerful. Then, I realized that it seemed passive because I was able to walk just fine. Only when I intentionally altered my gait, sort of dragging one leg, did the exoskeleton come to life. It suddenly was powering the leg that I was intentionally dragging – or trying to drag – to match the motion of my “good leg.” Very cool. Things got even more exciting when I tackled a staircase and it added power to my steps in response to my attempt at simulating muscle weakness. Again, very cool. Subsequently, my teammates have worked with people who have impairments and could benefit from exoskeletons as part of their physical therapy. These people were in some cases overwhelmed by the technology, in a good way. When a medical condition takes something away from an individual, getting it back in some form is a powerful event. Although exoskeletons seem novel today, I believe they will become ubiquitous over time, helping people recover from health problems or offering them a continuing lifetime of mobility assistance. The products, which can look quite mechanical and…let’s say inhuman… are likely to become either more attractive or fairly invisible. Already, they are a great step forward, literally speaking. I expect our team to be quite active in the domain, helping make the adaptive devices safe, effective, usable, and appealing.